So you want to start chipping away at that screenplay in your local coffee shop, but lugging your laptop along isn’t ideal. No worries: carry your phone or tablet and one of these keyboards instead. 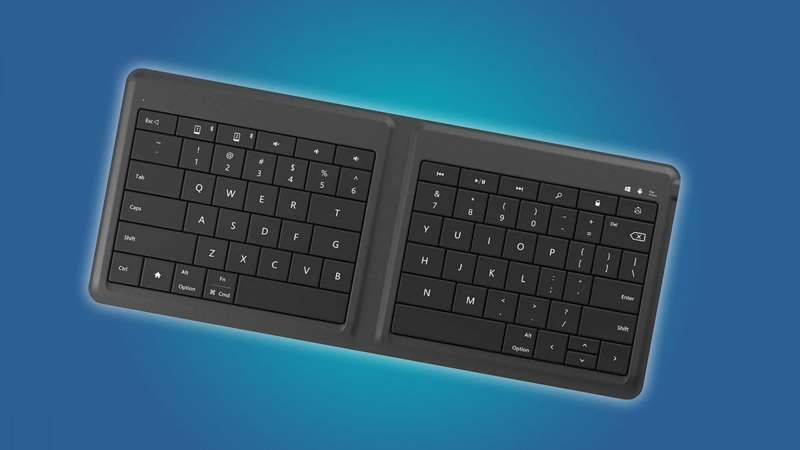 These ultra-portable keyboards aren’t going to give you the full desktop typing experience, especially if you’re using them with a small phone screen. But for fast, accurate text entry on the go, they’re a great addition to your bag if you don’t want to lug along a full size laptop. Rechargable batteries and Bluetooth connections will keep your load to a minimum, and standardized layouts mean you won’t have to force your muscle memory to adjust to new keys. 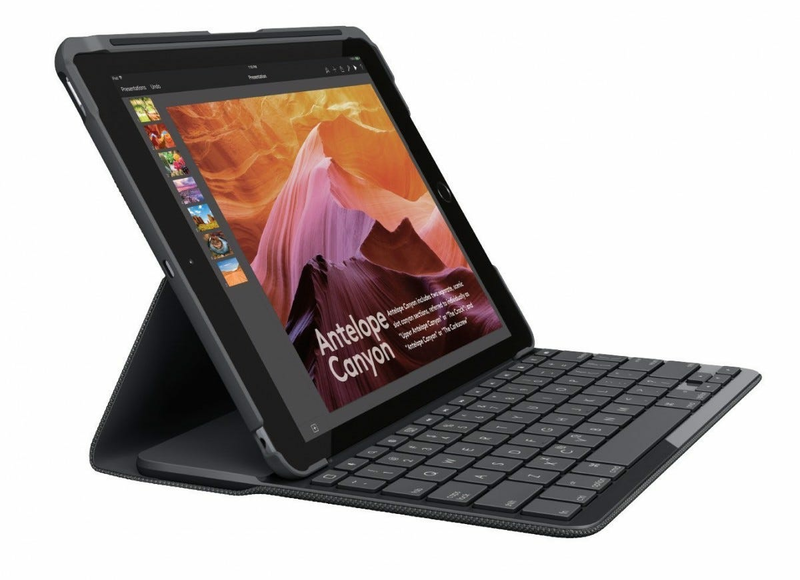 We’ve selected the best options for a conventional full-size keyboard, the best one that folds down into a super-compact travel mode, the best with a fold-out stand for general phones and tablets and the best for iPad users in particular. And finally, we picked a mobile keyboard that will satisfy die-hard mechanical keyboard purists. This Anker keyboard design is basically a copy of the compact Apple and Logitech layouts you see attached to trendy desktops. But with the company’s well-earned reputation for frugal reliability, it’s a much better pick for something you’ll be tossing in a bag. The layout uses the standard 60% entry area with only a little shrinkage on the arrow keys, and the whole thing is just half an inch thick. Even as small as it is, it packs in a battery good for months of operation and a manual on-off switch to avoid accidental activation when it’s stowed. The keyboard is compatible with Android and iOS, plus macOS and Windows too if you need it in even more places. Black and white models are both under $25, and come with an impressive 18-month warranty. In terms of flexibility and value, you can’t beat it. 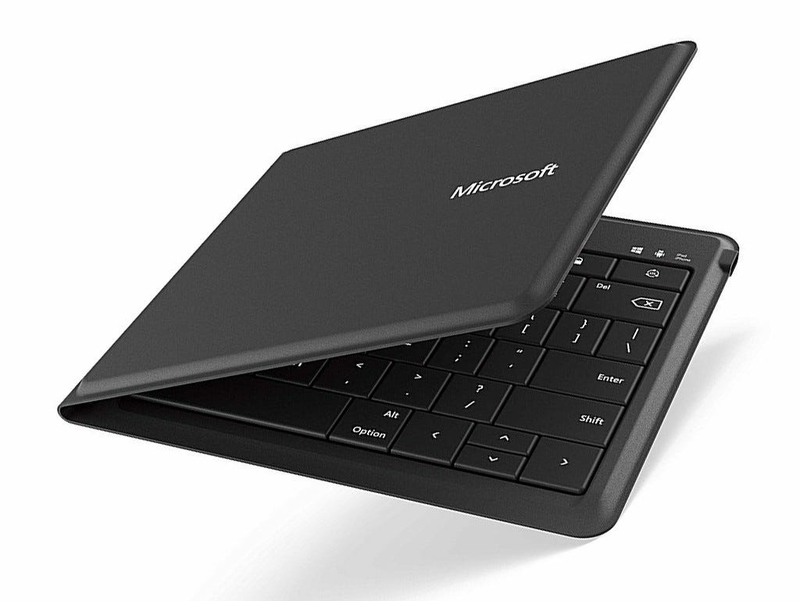 Microsoft has dabbled in compact keyboards before, but this folding model is a real winner. 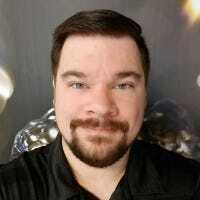 Based loosely off of the type covers for Surface tablets, but with a vertical split in the middle so it can be folded over like a wallet, the Universal Foldable Keyboard manages to fit a full-sized six-row layout into a package less than six inches wide and five inches tall when folded. That should be small enough to hide out unnoticed in even the tiniest of bags, or even a really roomy pocket. Surprisingly, the keyboard is programmed to work with Windows, Android, and iOS devices, and it hides a Bluetooth module and rechargable battery in its quarter-inch thin frame. 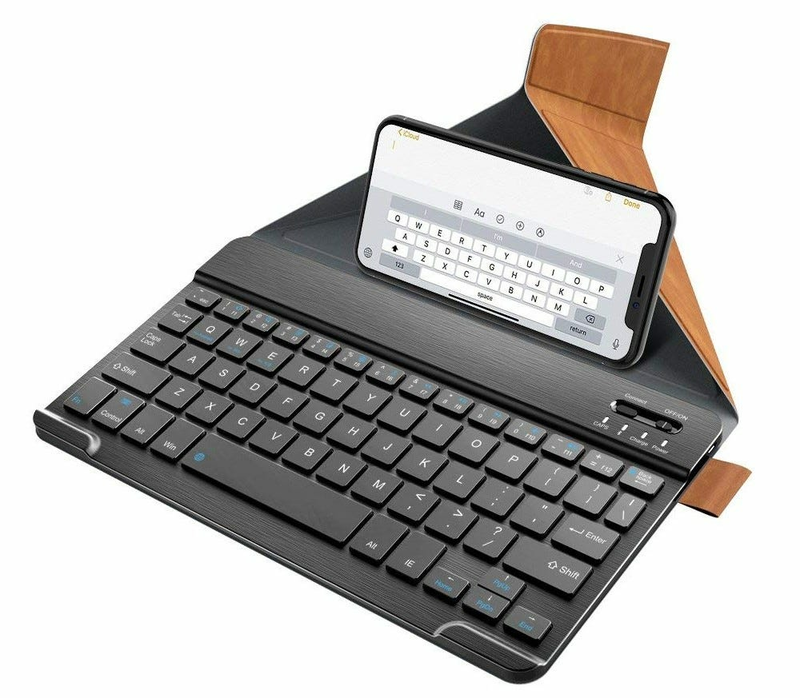 Do note that the key travel and flat incline make this one considerably less comfortable than a full-sized keyboard, so it might not be the best choice if your mobile typing sessions can go on for hours at a time. Apple’s official keyboards for the iPad are ridiculously overpriced, and to be honest, the company’s been letting its design sway far too hard into the “form” side of the form-function equation lately. That being the case, Logitech’s Slim Folio design is our pick if you’re looking for something specifically designed for your iPad. A laptop-style keyboard is the centerpiece, but the kit also includes a pretty tough case all the way around the tablet as well, complete with a slot for an Apple Pencil if you require it. The keyboard has six full rows and requires a battery change only once every four years (with watch-style coin batteries) thanks to its Low Energy Bluetooth chip. The case is designed to be used full-time, so if you want something that lets you remove the tablet easily, look elsewhere on this list. But at only about half the price of Apple’s official keyboard case with a better typing experience, it’s the clear choice. We pored over quite a lot of keyboard designs with a built-in stand for phones and tablets. The ones with little grooves seem too unstable, ditto for fold-out clips, sliding trays lack reliable support for heavier tablets, and detachable kickstands can be lost too easily. For someone who needs a keyboard with generic support and a built-in viewing platform, this humble Nulaxy model fits the bill. The origami folding stand can handle tiny phones and oversized tablets without losing stability, and when not in use it folds over the keys for protection. 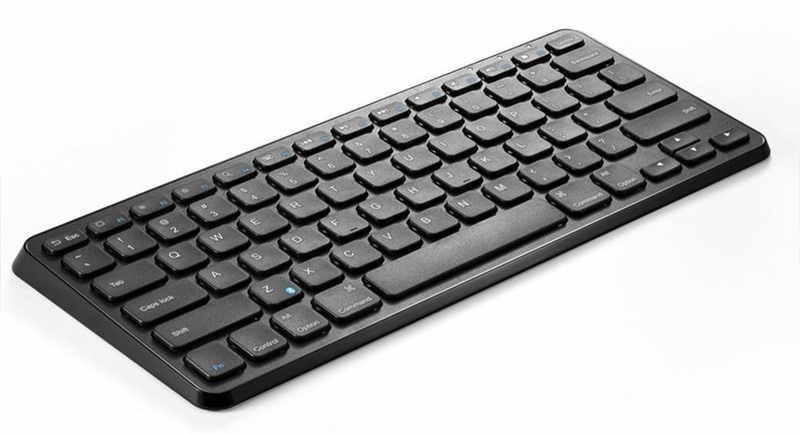 It’s compatible with iOS and Android with a full key layout (including function row), and the keyboard can be removed if you need to use it at a distance. And at just $18, it’s one of the most economical and versatile options on this list. There are a growing number of Bluetooth-enabled mechanical keyboards, but if you’re not willing to build your own, your options for compact, travel-friendly designs are limited. The DareU EK820 fills that void by using Kailh’s new “Choc” low-profile switches, resulting in a package that’s only about half the size of similar 60% layout boards. The super-skinny switches still use a full spring and slider mechanism, preserving the feel of a mechanical keyboard but with a shorter key travel reminiscent of IBM ThinkPad laptops. This model is surprisingly light as well. You won’t be able to throw on your favorite Cherry-compatible keycaps, but Blue clicky and Red linear switches are available as a choice. For users who demand the speed and comfort of a desktop-style keyboard in the smallest package possible, this is an impressive compromise. As the dust settles on yesterday’s Apple event, it’s time to take a closer look at the new iPhones. This is the most dramatic change we’ve seen from Apple in years, so there’s a lot to talk about.